Sam “Serious” Stone is not a hero to rest on his laurels. 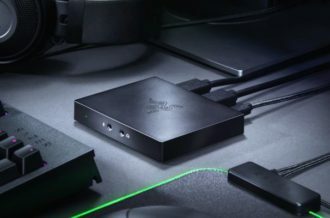 Since his first appearance in a tech demo back in the year 2000, he’s been in one game after another, usually insane arcade-style first person shooters but with frequent appearances in other genres. He’s gone back in time, visited other planets, spent way too much time in Egypt and somehow despite all this has still never completed his original quest to confront the intergalactic warlord Mental. 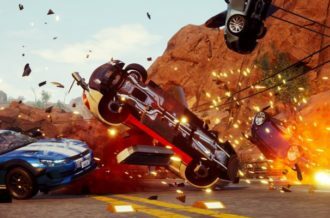 While most of his games have been created by Croteam, he’s also been lent out to various indie developers to play with in a variety of genres. 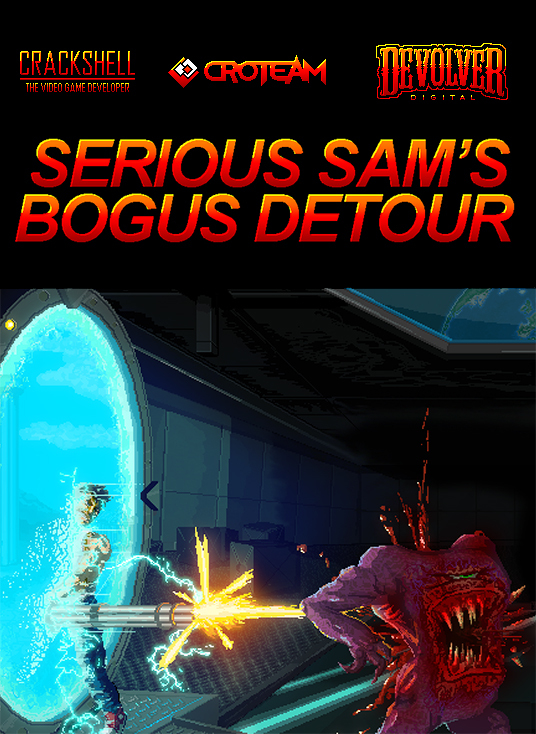 Serioius Sam has had an RPG, an endless runner, a VR shooting gallery and a side-scrolling run & gun, but somehow never showed up in a the twin stick shooter until Serious Sam’s Bogus Detour. It’s been a bit of a wait but the results are well worth it. Serious Sam translates just about perfectly to the twin-stick shooter, with only a few adjustments made to add a little more depth. Each level starts out in a peaceful corner of the world, giving you a little breathing space before throwing a vicious menagerie of critters your way. Starting with little more than a pair of pistols with infinite ammo, Sam quickly starts turning up new weaponry. 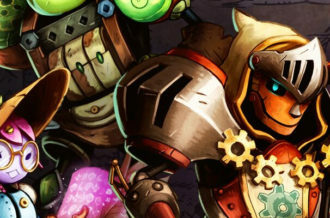 Old favorites like the tommy gun, shotgun, and hand cannon (literally a cannon that shoots cannon balls bigger than all but the largest monsters) are joined by new weapons such as the disc gun that shoots bouncing saw blades, The Shaft which fires a bolt of electricity in a straight line, and plenty more. While every gun is useful, some are better in certain situations than others. The goo-balls released from broken toxic barrels can be killed by the minigun, sure, but that’s a waste of ammo when the flamethrower clears them out so quickly. 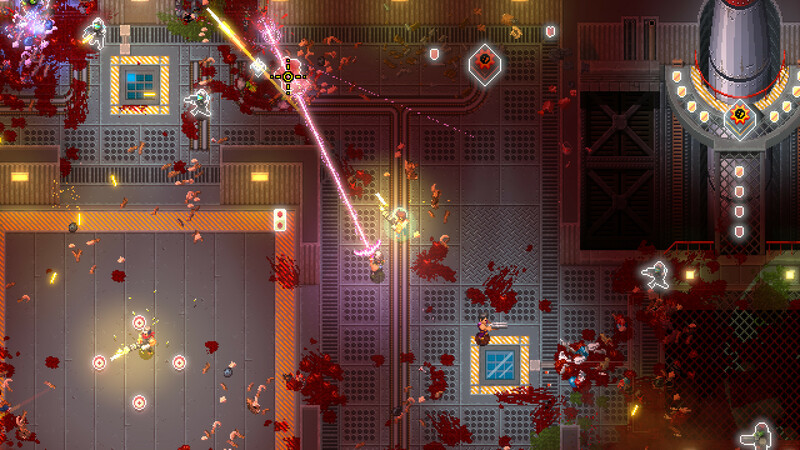 The double-barreled shotgun packs a mean punch, but a gun with an area of effect blast makes for better crowd control. There’s a weapon for every situation, and plenty of time to learn which works best on Sam’s lengthy quest. 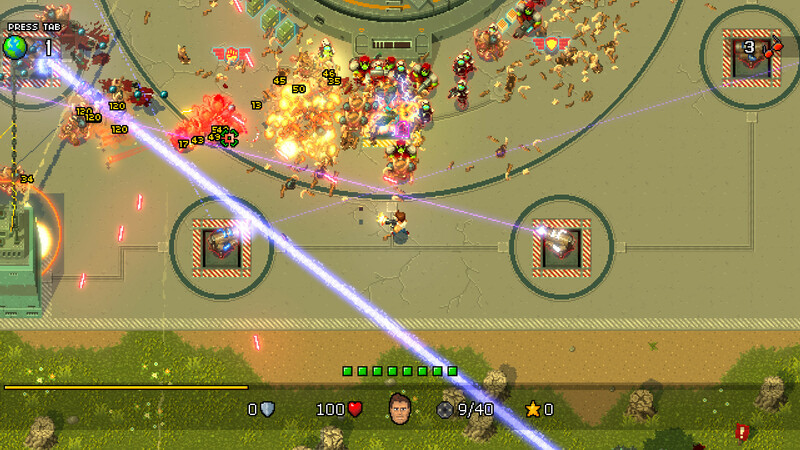 The ten levels of Serious Sam’s Bogus Detour are large, sprawling things, teeming with enemies and secrets. While the main Serious Sam series is best known for its flat-out action, there’s actually a lot of time spent looking for hidden items, with secrets and bonuses tucked away everywhere. This is equally true of Bogus Detour, and if you’re the type of gamer who can’t let an item peeking out behind a tree or building go uncollected there’s plenty to chase after. Bonus weapons, ammo stashes, and the all-important stars are tucked away, sometimes in plain sight with no clear route and other times semi-obscured by the scenery. Breakable walls are indicated by cracks, so you just have to pay attention rather than waste ammo shooting everything just in case there’s something there, and it’s easy to spend the larger part of the main quest’s play-time figuring out that if you shoot a rocket between the trees and through a window into a power generator it will open the locked door to a room with a star in it. While most of Bogus Detour is a direct translation of the FPS Serious Sam to a twin-stick adventure, there’s an experience point system running in there as well. Leveling up earns stars, as does finding them in the level, and stars are spent on getting Sam new abilities. Walking faster is a must-have, and should be the first thing you buy so his starting pace doesn’t bog the entire game down, but once you’ve got that there’s a lot to choose from. I found Laser Overcharge indispensable, because it gives the laser cannon’s bolts a splash effect that makes it perfect for thinning out crowds in a hurry, but you can also buy ricochet to bounce shots off walls, a Kill Frenzy that decreases damage by 50% but raises it by up to 200% as the kill combo increases, Rapid Reload that’s particularly helpful with the double-barreled shotgun, etc. The upgrades are good for the one save game, and don’t carry over to other game modes. The main bulk of the game is a quest that starts in Egypt, because Sam can’t seem to escape there no matter how hard he tries, but quickly takes a tour of the Mediterranean for a nice variety of scenery. The central quest can be played co-op with up to four players, and there are also survival maps where up to twelve people at once can try to hold back the horde. 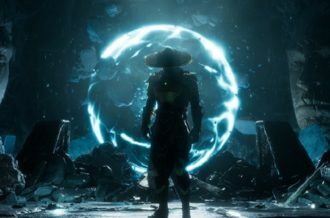 Starting a new run in any mode sets Sam back to level 1, and playing on higher difficulties not only increases enemy count and power but also the requirements to level up. If you want a real challenge, though, you can try building your own levels with the included editor and really pour on the monster swarm. Serious Sam’s Bogus Detour is a surprisingly large shooter that takes the long-running arcade FPS and translates it perfectly into a new genre. The gorgeous pixel art is well detailed and animated, and can pack a ton of critters on screen at once without any issues. Blasting through an area, painting the floor red with the remains of a vicious horde that couldn’t quite stand up to a rocket launcher, is basically what I pictured games would turn into back in the Genesis/SNES days. 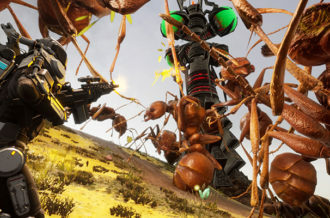 It’s got fast action, tons of weapons, a huge variety of creatures and a handful of bosses to use them against and firepower flies everywhere when the encounters heat up. Serious Sam’s Bogus Detour may look different from Sam’s usual outings, but 2D fans will have as much fun checking out the excellent pixel art as series fans will tearing through enemies both familiar and new.